Is This Really 3 Years Old ? 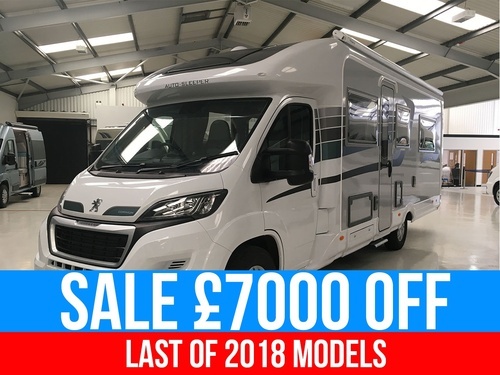 An immaculately presented 2/3 berth low profile motorhome with a front dinette, front seating area and fixed rear twin single beds over a garage containing a removable bike rack. 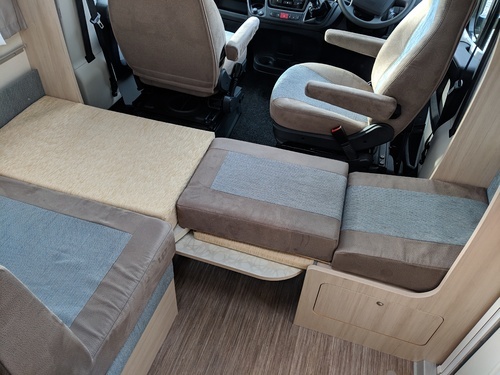 An important feature of this motorhome is that it has an oven, a feature often missing from Hobby vans. An amazing example of how a motorhome should be kept.